There was fun for all the family at the Stewkley country fayre yesterday (Sunday). Thousands of people descended on The Grange on a warm and sunny day for a host of activities and entertainment. Musical entertainment was provided by the Winslow Concert Band, the Hemlock Morris Dancers and clog-dancing group Tappalachian while pupils from St Michael’s School in Stewkley did country dancing and drumming. 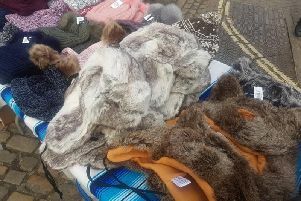 There were stalls selling everything ranging from second hand books to tools while animals ranging from hounds to alpacas and Aylesbury ducks were on display. A dog show ran through the afternoon, while other activities included crazy golf, children’s go-karts and a climbing wall.